Uwe Gemballa was known for making radical modified Porsches right up to the day in early February 2010 that he disappeared. Then the world found out Gemballa had money troubles, then they found out he was murdered in South Africa. Now a man believed to be connected to the murder is in custody. 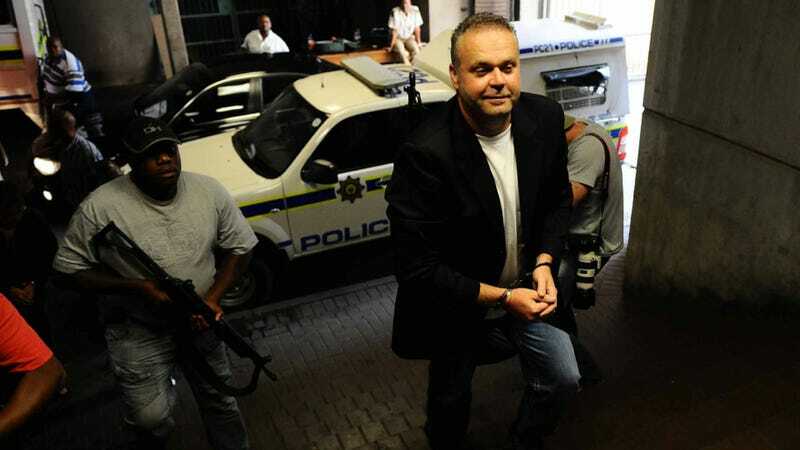 The path that leads you from Uwe Gemballa's popular turning shop in Germany to a plastic bag wrapped around in his head in South Africa is a twisty one, but no matter which way you look along the path you find Czech fugitive billionaire Radovan Krejcir. Most reports seem to agree that Gemballa went to South Africa to see Krejcir associate Jerome Safi to get the money for a new dealership — money that would help him avoid bankruptcy. Shortly after arriving in Johannesburg, Gemballa called his wife asking for a million euros and then he disappeared, with no one knowing where he was for months. Many speculated that he'd just gone into hiding to avoid the German government and his creditors, but his body showed up roughly eight months later in a shallow grave, a plastic bag around his head. The police did find and charge four men with the murder, one of whom confessed, but these appear to be the henchmen who carried out the crime and not the individuals who asked for it. Is this related to Gemballa? Perhaps another murder? South Africa's Mail & Guardian has a list of bodies Krejcir is connected to so it's difficult to say.